Capricorn Horoscope for June 2019. 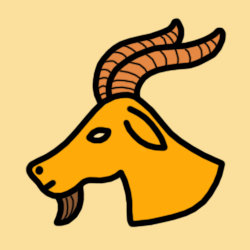 Capricorn horoscope for the month of June 2019 reveals work, health, routines, playful, loving, expressive, negotiations, openness, ego problems, impatience. For Capricorn, June 2019 is also a month of reinventing your diet and health regimes, recognizing your need for solitude and to be alone. The Sun this month continues to attend your regular tasks, and bless your efficiency in work and health routines - until 21st June, after which the Sun seeks to harmonize your partnerships and relationships, highlighting a greater than usual need to be with a partner - for the rest of the month. Venus this month continues to attract you to aesthetic forms of recreation, making you charm your way to popularity - until 9th June, after which Venus seeks to bring more tact and diplomacy to your relations with the people you work with, making your talents or skills especially appreciated - for the rest of the month. Mercury this month continues to make you inclined to prepare to-do lists, pay bills and sort out clutter, and to do detailed work on the job - until 4th June, after which Mercury seeks to make you weigh the pros and cons of every issue, taking into account other's needs as well as your own - until 27th June, after which Mercury seeks to make you more intuitive than usual now, picking up all of the hidden cues from people around you - for the rest of the month. Mars this month continues to enliven your close personal relationships, surfacing unresolved issues that need tending - throughout the month. New Moon on 3rd June seeks to set new diet regimes, healthy routines, and satisfying work schedules; while the Full Moon on 17th June seeks to balance your life with some down time, highlighting an overwhelming need to be alone. The Sun this month seeks to attend your regular tasks, and bless your efficiency in work and health routines - throughout the month. Venus this month continues to attract you to aesthetic forms of recreation, making you charm your way to popularity - until 17th June, after which Venus seeks to bring more tact and diplomacy to your relations with the people you work with, making your talents or skills especially appreciated - for the rest of the month. Mercury this month continues to make you inclined to prepare to-do lists, pay bills and sort out clutter, and to do detailed work on the job - until 10th June, after which Mercury seeks to make you weigh the pros and cons of every issue, taking into account other's needs as well as your own - for the rest of the month. Mars this month seeks to enliven your close personal relationships, surfacing unresolved issues that need tending - throughout the month. The Sun this month continues to emphasize the playful, creative, romantic, and emotional side of your self-expression - until 11th June, after which the Sun seeks to attend your regular tasks, and bless your efficiency in work and health routines - for the rest of the month. Venus this month seeks to attract you to aesthetic forms of recreation, making you charm your way to popularity - until 25th June, after which Venus seeks to bring more tact and diplomacy to your relations with the people you work with, making your talents or skills especially appreciated - for the rest of the month. Mercury this month continues to make you inclined to prepare to-do lists, pay bills and sort out clutter, and to do detailed work on the job - until 17th June, after which Mercury seeks to make you weigh the pros and cons of every issue, taking into account other's needs as well as your own - for the rest of the month. Mars this month continues to motivate productively, with increased energy and initiative for work, health, and other daily activities - until 16th June, after which Mars seeks to enliven your close personal relationships, surfacing unresolved issues that need tending - for the rest of the month. New Moon on 3rd June seeks to spark your creativity and self-expression, and highlights romantic inclinations; while the Full Moon on 17th June seeks to balance your life with some down time, highlighting an overwhelming need to be alone. Regarding monthly horoscope forecasts for June 2019, that is all for Capricorn. You may also read our 2019 Capricorn Yearly Horoscope Predictions to refer the overall scheme of astrological influences.